Red foxes were frequent visitors to the summit of Mount Washington, where I worked at the Observatory for many years. 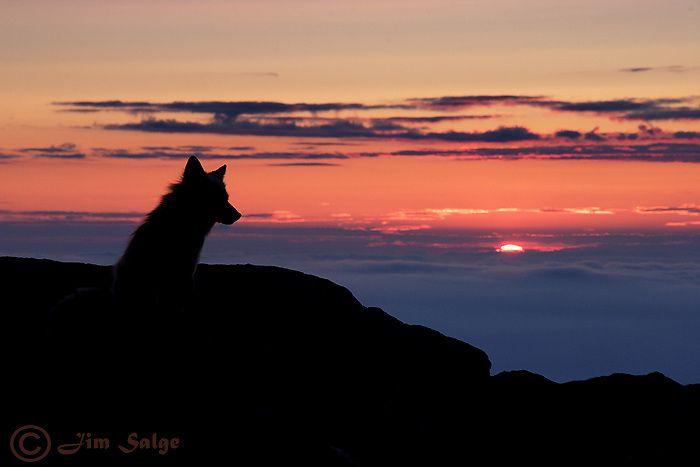 This particular evening, the fox was below the summit builing, and some careful stalking put both of us in position right as the last light fell below the horizon. Though it looks as though the fox is watching sunset, it is actually staring at me, cautiously watching my every move.